Great barracuda (Sphyraena barracuda) such as this one at Richelieu Rock often hunt alone. They have been known to mistake shiny jewellery for small prey. 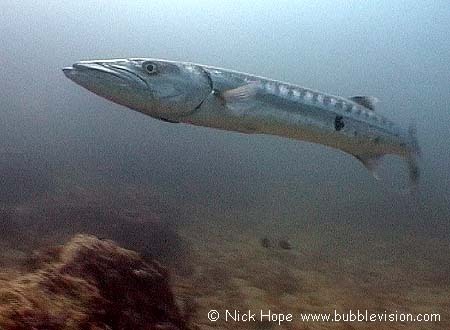 Great Barracuda and other marine life from Richelieu Rock feature in my DVD.